Michael Shermer, the originator of the Skeptics magazine in the USA, and a Scientific American columnist, is a self-confessed apostate and atheist. So he has a vested interest in supporting his own worldview, i.e. that there is no God and as such mankind can decide what is truth for himself. In his lecture, ‘Why Darwin Matters’, delivered on August 20th during Science Week at the University of Western Australia, he was very insulting and condescending towards creationists and the ID movement. I felt that his sarcasm and arrogant attitude was not fitting for a scientific discussion. He adopted a ridiculing tone through most of his lecture. Even in the Q&A time when asked, ‘How did life start?’, he answered by saying there were many theories but never gave any examples of where life had been created in the lab, let alone formed spontaneously, as evolution requires. In a condescending manner, he challenged the questioner to do the experiments and find out for himself. This presupposes that natural processes generated life, which was precisely the question at issue—such question-begging is common among believers in chemical evolution. And he had a blind spot: if scientists did make life, they would use intelligence (see Will scientists create new life forms and what would it prove?). Shermer used the ruse, as many skeptics do, of lumping creationists together with all those ‘nut jobs’ that believe in wayout conspiracy theories, UFOs, tarot readings etc—calling those pseudoscience, even nonsense. Of course, the same trick can be applied to evolutionists, who are certainly to be found within the ranks of conspiracy nutters, alien abduction believers, astrologers. He said evolution is just as much a valid theory as is gravity—an old ploy—asking ‘Why don’t creationists deny gravity, it also is a theory?’ Is he stupid or just playing the crowd? Creationists have no reason to disbelieve gravity, since we observe it! Conversely, as Dawkins said, ‘Evolution has been observed. It’s just that it hasn’t been observed while it’s happening.’ [ Battle over evolution Bill Moyers interviews Richard Dawkins, ‘Now’, 3 December 2004, PBS network]. . Also, informed creationists have long advised against saying, Evolution is just a theory’, since we don’t want to give evolutionary hypothesis the same status as gravity. Shermer asked, ‘Why don’t creationists mention Isaac Newton because he wrote more on the Bible than physics?’—once more exposing his ignorance—creationists often cite Newton, pointing out this very thing! See the Creation magazine article, Sir Isaac Newton (1642/3–1727): A Scientific Genius). The ID movement adherents do not specify Who or What is the Intelligent Designer, and in this instance I agree with Michael Shermer, they should be more up front about what they believe. Most, but not all, are Christians—one of the leaders is a Moonie—and most are long age believers, so it is not valid to lump them all together as some generic creationists—they are not. Some IDers even believe in evolution along with ID. 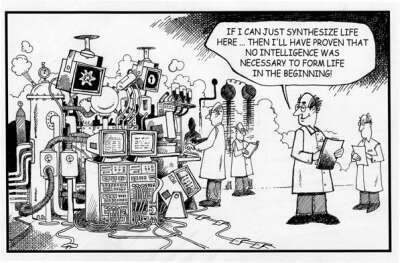 See also CMI’s views on the Intelligent Design Movement. I see no inconsistency with the age of the universe, for example (13.7 billion years), and the narrative of Genesis 1. The biblical account is given from an Earth-centric viewpoint, and time is measured in Earth days. But a creation scenario can be envisaged where time is given in cosmic years and billions pass in the cosmos while only a day passes on Earth. This of course requires some sort of relativistic time dilation during the creation period of the early universe. But why not? 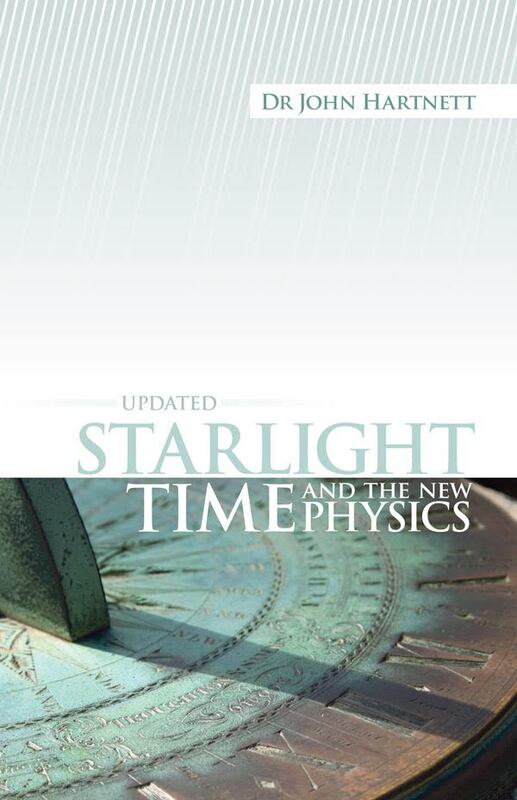 (See my book Starlight, Time and the New Physics (below). Given the figure Shermer used for the Out-of-Africa scenario, 10,000 humans from the bottleneck, 100,000 years ago, even assuming a massive beneficial mutation rate of say 0.1 per generation (which cannot be supported by observation today) we would have a massive accumulation of billions of slightly-deleterious nearly-neutral mutations in the human population that cannot be eliminated by natural selection and fitness would be enormously degraded. Ultimately one has to pay for that massive loss of information. So how can that be consistent with the molecules-to-man concept of evolution? (See also Haldane’s dilemma has not been solved). It is not a choice between science and religion as some portray it, but how one interprets the present facts to make them fit into your worldview. There are no eyewitnesses to the past beyond recorded history, and sources become less reliable the further back in time we go. Even tree-ring dating is not as reliable as some people make out (see this article on dendrochronology). I don’t believe the date that Babylonians first began to make beer (as Shermer joked) is so well established, given that archaeologists argue over established historical figures like King David, varying their estimates by many hundreds of years. In a recent article in New Scientist, Laura Spinney discusses the ‘vestigial organs’ notion, and claims that it is still a viable concept despite having taken such a battering at the hands of modern medical science. She notes that ‘these days many biologists are extremely wary of talking about vestigial organs at all’. Spinney reflects that this ‘may be because the subject has become a battlefield for creationists and the intelligent design lobby … .’ It was indeed a battlefield—a battlefield long won by biblical creationists, which is why we’re seeing the current attempted fightback by the skeptics. He does end with one test of evolutionary theory that he says would nullify it completely, “Show me a trilobite and human fossils in the same strata.” Let’s hope no one finds such for his sanity’s sake. But he would merely claim that trilobites didn’t become extinct after all, just like the coelacanth and Wollemi pine. ‘Be sober-minded; be vigilant. Your adversary the devil prowls around like a roaring lion, seeking someone to devour’ 1 Peter 5:8. Written by Dr John Hartnett, this is a bold new answer to the distant starlight issue. Many still doubt the Bible’s clear timescale because, they think, it is impossible for light to have reached the Earth in only a few thousand years from stars that are millions of light-years away. This misconception is often the ultimate stumbling block to a straightforward acceptance of the Bible—even the gospel itself. Understandable by intelligent laypersons, with technical equations and papers put into 111 pages of appendices for the specialist. (High School–Adult) 231 pages. 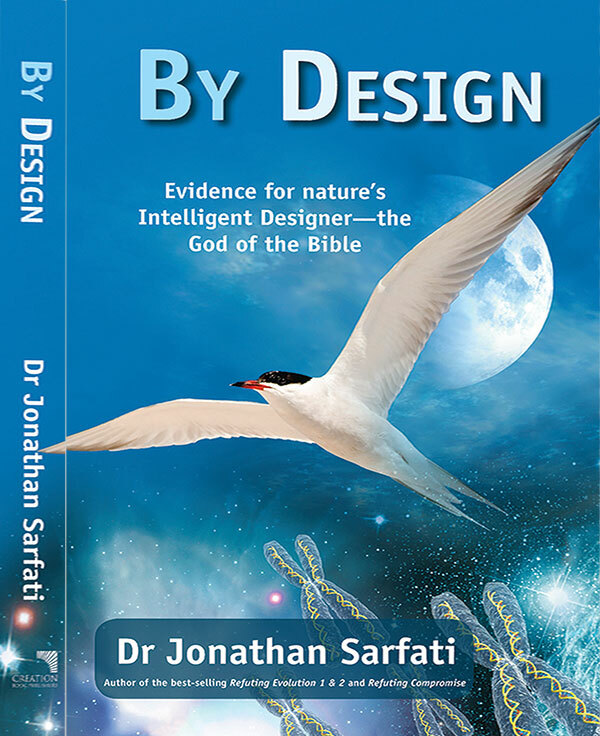 Dr Jonathan Sarfati presents case after case for amazing design in the living world, and demolishes theories of chemical evolution of the first life. Yet unlike many in the prominent Intelligent Design Movement, he is up-front about the truth of the Bible. This enables him to refute many anti-design arguments, and answer the key question: ‘Who is the Designer?’ (High School–Adult) 260 pages. 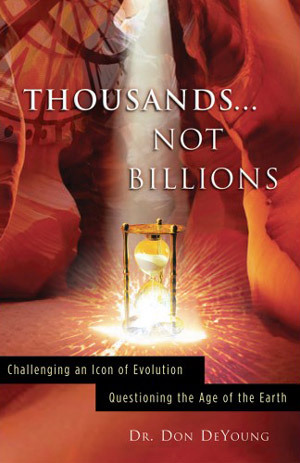 This landmark book presents powerful evidence for creation. The author, a well-known ex Cornell University professor of genetics, shows how mutations and natural selection do not account for the information in the human genome. 3rd edition. (High School–Adult) 229 pages. Radiometric dating is one of the linchpins of evolutionary education today. Dr Don DeYoung shatters this and other dating methods employed by evolutionists to cast doubt on the reliability of the Bible and its chronology of Earth history. Evolutionists seek to undermine faith in Genesis as the true documentary of the history of the universe. When people are told that a dinosaur bone has been determined to be tens of millions of years old, that obviously doesn’t square with the biblical record of man being created on Day 6 with the land animals. But Dr DeYoung now demonstrates that Christians no longer have to puzzle over this glaring contradiction. (High School–Adult) 250 pages.